Japan’s nuclear authority is to conduct radiation surveys to measure the long-term effect on marine resources on the seabed off the wrecked Fukushima nuclear plant that has been leaking toxic water since 2011, the Japanese media reports. The tests which are to be conducted by the Nuclear Regulation Authority (NRA) are aimed at measuring cesium levels at 600,000 points on the seabed from 200 locations, the Yomiuri newspaper reported on Saturday. The NRA is to monitor the spots in a 1,000 square-kilometer area stretching 50 kilometers north-south and 20 kilometers east-west off the crippled nuclear power plant, according to the daily. Triggered by an earthquake and resulting tsunami, three of the plant’s reactors suffered a nuclear meltdown in March 2011. 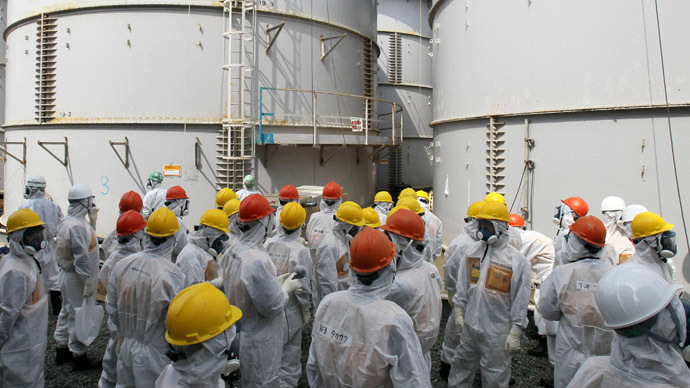 Tokyo Electric Power Company (TEPCO), the former operator of the nuclear plant, now responsible for the clean-up says the reactors are now stable but need to be kept cool. The nuclear facility has subsequently been accumulating radioactive water as groundwater passing through the power plant becomes contaminated. Meanwhile the protective barriers installed to prevent the flow of toxic water into the ocean have proved ineffective. Japan’s Ministry of Industry has recently estimated that about 300 tons of the contaminated groundwater has been seeping into the Pacific Ocean daily since the nuclear disaster. 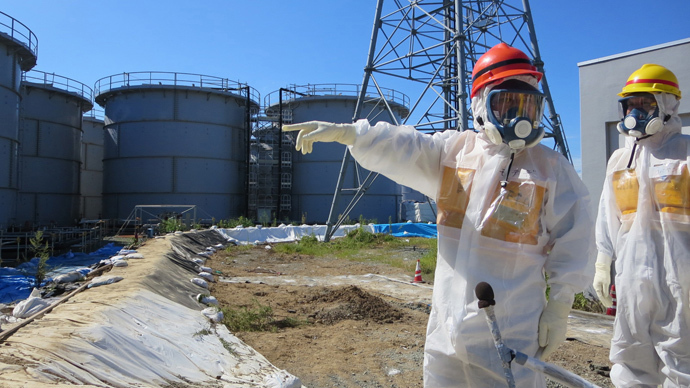 The contamination has been worsened by leaks in some of the tanks on Fukushima’s premises that are believed to have reached the groundwater seeping into the sea. South Korean regulators have already banned the import of 50 fishery products from eight Japanese prefectures. As TEPCO has been struggling to contain contaminated water at the plant, the government has stepped in to take over some of the responsibilities, arguing that the utility seems incapable of fixing the matter on its own. The consequences of the nuclear catastrophe in Japan have triggered international debate after Tokyo won the right to host the 2020 Olympic Games, beating Madrid and Istanbul. Just hours before Tokyo was chosen on September 7, Japanese Prime Minister Shinzo Abe reassured the International Olympic Committee that radioactive water leakage from the wrecked nuclear plant was "under control” and "will never do any damage to Tokyo"
His speech caused a wave of criticism in Japan. 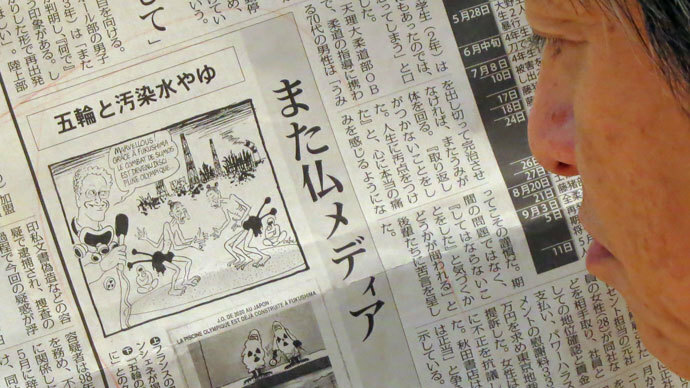 On Saturday, the front-page of national newspaper Asahi Shimbun read "Contaminated water 'control' running astray,""Credibility of prime minister's message to overseas is shaking." 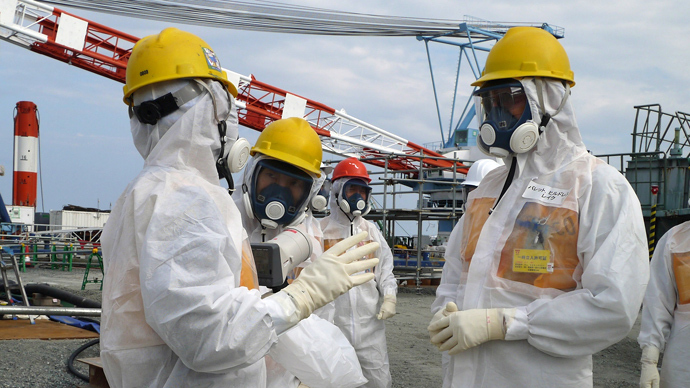 Hikariko Ono of the Prime Minister's office defended Abe's statement, saying that the monitoring results conducted off the Fukushima coast showed undetectable radioactivity. A senior TEPCO official Kazuhiko Yamashita contradicted the Prime Minister on Friday by saying the radioactive water leakage at the crippled Fukushima plant ‘was not under control’. 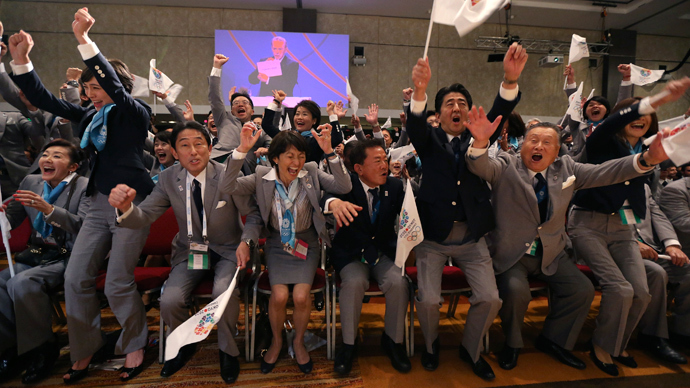 Japan clinches Olympics: Road to recovery or digging deeper into debt?